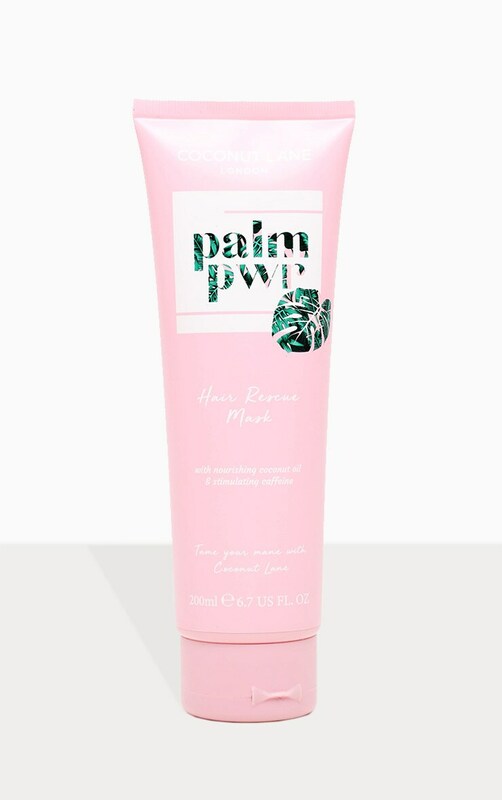 An intense hair rescue mask. 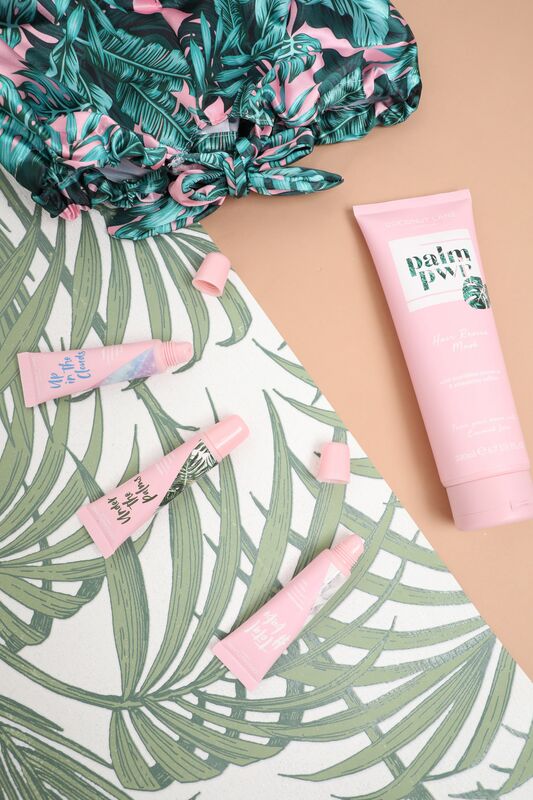 Tame your mane. 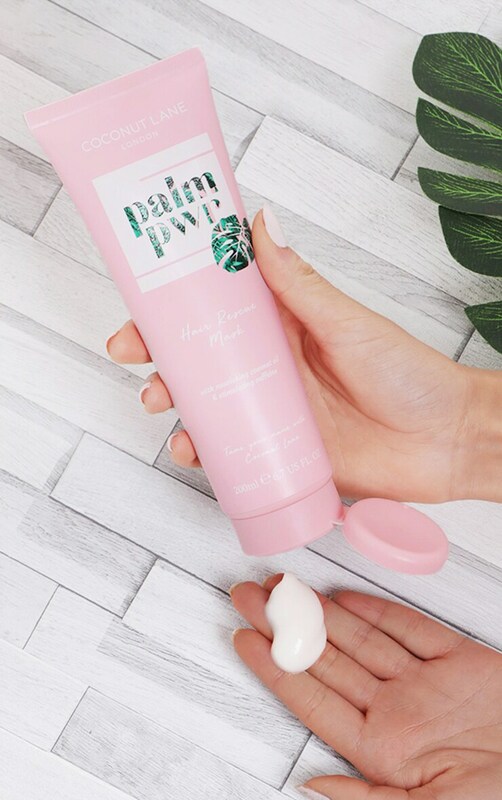 Loaded with a powerful blend of nutrients, Palm Pwr Hair Mask instantly soaks the hair in moisture, locking in hydration and promoting hair growth. This coconut and caffeine-infused mask is the secret to effortlessly luscious, healthy locks. Coconut Oil – Nourishes dry or damaged hair and restores shine. Almond Milk – Rich in minerals and fatty acids, reduces breakages and conditions the hair. 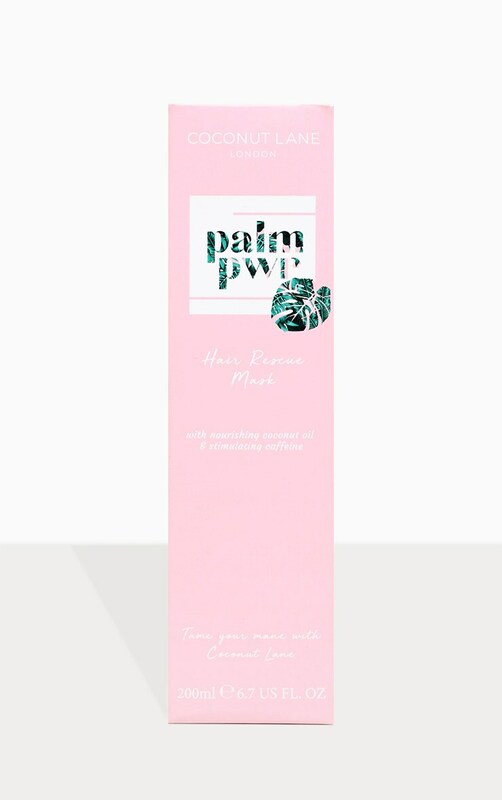 Caffeine – Stimulates scalp circulation and encourages hair growth. Jojoba Oil – Encourages scalp rejuvenation. Aqua (Water), Cetearyl Alcohol, Steartrimonium Chloride, Glycerin, Cetrimonium Chloride, Hydroxyethyl Urea, Behentrimonium Chloride, Polyquaternium-7, Hydroxyethylcellulose, Quaternium-80, Panthenol, Parfum (Fragrance), Alcohol, Stearyl Alcohol, Guar Hydroxypropyltrimonium Chloride, Isopropyl Alcohol, Sesamum Indicum (Sesame) Seed Oil, Cetyl Alcohol, Ethylhexyl Isononanoate, Quaternium-82, Stearamidopropyl Dimethylamine, Tetrasodium EDTA, Argania Spinosa Kernel Oil, Simmondsia Chinensis (Jojoba) Seed Oil, Cocos Nucifera (Coconut) Oil, Caffeine, Hydrolyzed Wheat Protein, Tyrosine, Citric Acid, Calophyllum Inophyllum Seed Oil, Glyceryl Stearate, Hydrolyzed Wheat Starch, Magnesium Nitrate, Phenoxyethanol, Potassium Sorbate, Methylchloroisothiazolinone, Magnesium Chloride, Methylisothiazolinone, CI 19140 (FD&C Yellow No. 5), CI 14700 (FD&C Red No. 4), CI 42090 (FD&C Blue No. 1), Benzyl Benzoate, Coumarin.